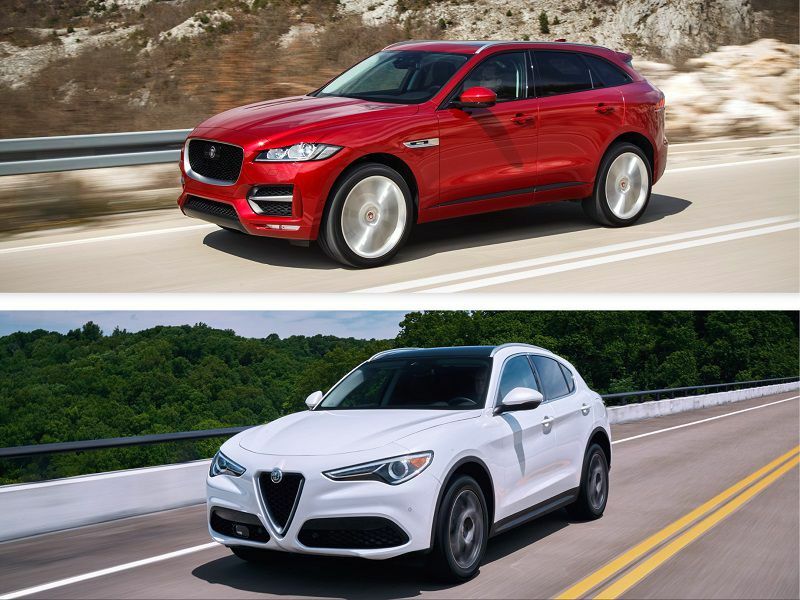 It's not easy to choose between the 2019 Alfa Romeo Stelvio and the 2019 Jaguar F-PACE. But first, congratulations for thinking outside the usual SUV/crossover box. 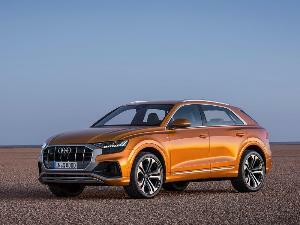 Most luxury suvs on the road are by Audi, BMW, Lexus, and Mercedes-Benz. There's nothing wrong with those marques, but whenever there’s a sighting of a Stelvio or an F-Pace on the road, it’s typically accompanied by a thrill. The rivals are just more commonplace. 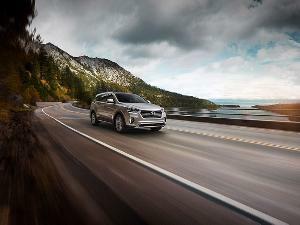 Those thrills are happening more, though, as buyers are switching on to the joys each of these crossovers provides. However, we’re going to avoid the most joyful variants — the highly specialized 505-hp Stelvio Quadrifoglio and the 550-hp F-Pace SVR — to focus on the more affordable versions. There’s still plenty to appreciate in the models for mortals, as we're about to demonstrate. Read on to find out which of these two luxury SUVs is best. 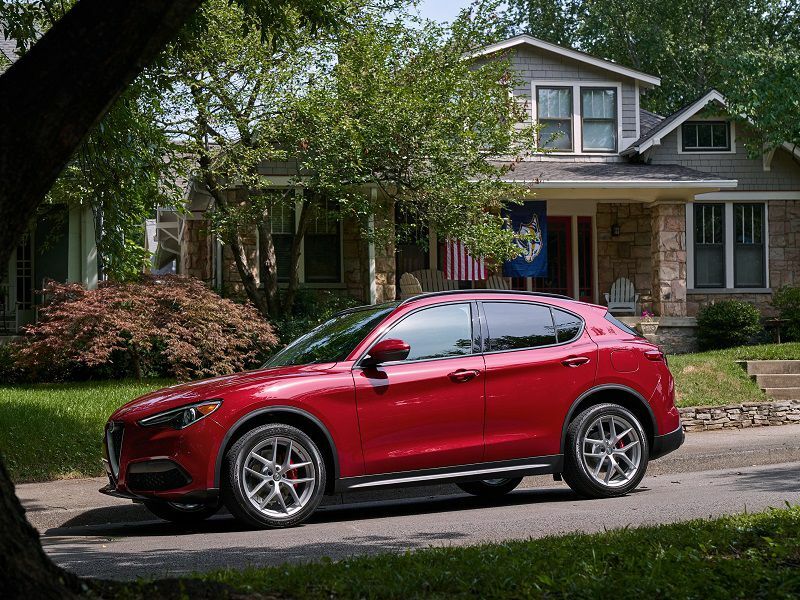 The 2019 Alfa Romeo Stelvio range starts at $41,590. The 2019 Jaguar F-PACE lineup is priced from $45,595. Alfa Romeo lowered its base price this year by introducing a rear-wheel drive variant, whereas the F-Pace comes with all-wheel drive as standard. Then again, an all-wheel-drive Stelvio comes in at $43,590. We could debate that the cost difference is trivial at this premium level, but it’s still about $2,000 less. That could buy some nice options. Note that the Stelvio's base engine is also more powerful than the equivalent in the F-Pace. The base Stelvio comes with 18-inch alloy wheels, dual-zone automatic climate controls, leather upholstery, and a powered tailgate. But it might be smarter to choose the Ti trim, with things like an 8.8-inch infotainment touchscreen, heated front seats and steering wheel, satellite radio, and 19-inch wheels. Apple CarPlay and Android Auto smartphone integration are standard throughout. Tellingly, there’s no off-road mode for the all-wheel drive system. 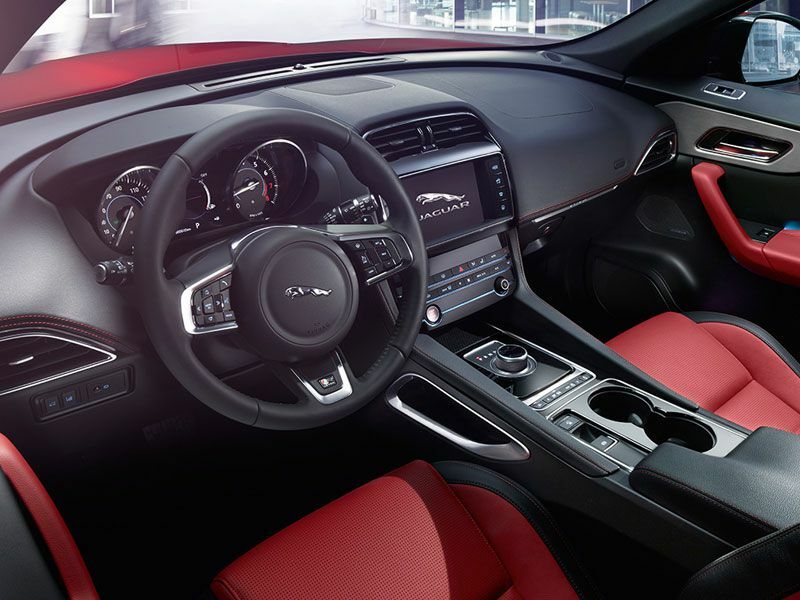 The F-Pace has a 10-inch touchscreen, all-wheel drive, parking sensors at both ends, simulated leather upholstery, and a fine 380-watt 11-speaker audio system. 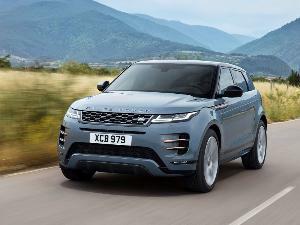 The all-wheel drive system also has some Land Rover expertise with its crawl control. 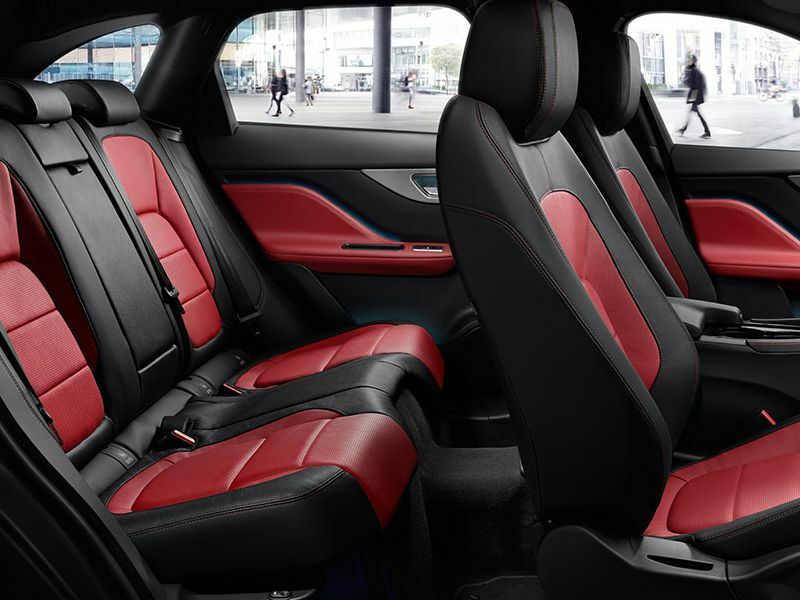 Fake versus real leather apart, the F-Pace has the edge here. 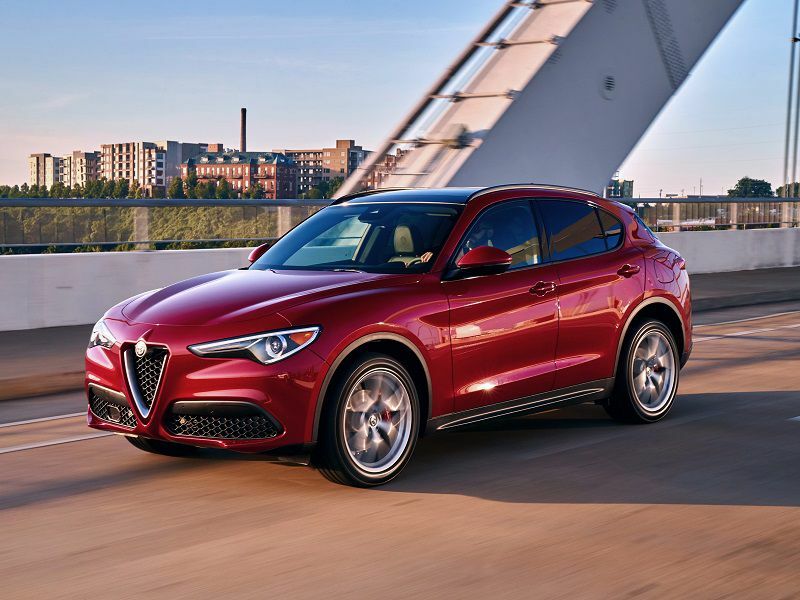 The Stelvio’s options are often geared (pardon the pun) toward the driver, offering features like an adaptive suspension, limited-slip rear differential, and sport seats up front. The F-Pace, on the other hand, brings more variation, such as the Activity Key. Worn on the wrist, this waterproof and shockproof key takes the place of the regular fob when the driver has left the car to engage in outdoorsy pursuits. 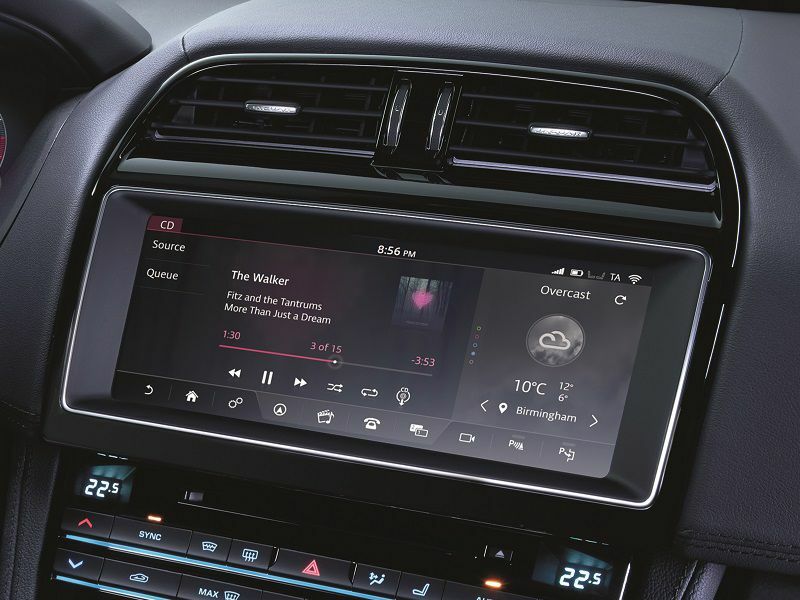 Many manufacturers are incorporating Apple CarPlay and Android Auto as standard, so it’s irritating to find it optional in the Jaguar. Other extras include an 825-watt, 17-speaker surround sound system, plus a head-up display that uses laser technology instead of LED. It’s easier to see while wearing sunglasses with polarized lenses. Variety is the winning spice for Jaguar. This area is where both vehicles offer something special. Neither the Alfa nor the Jag looks boxy; both demonstrate how attractive a crossover can be, and the winner will come down to personal taste. 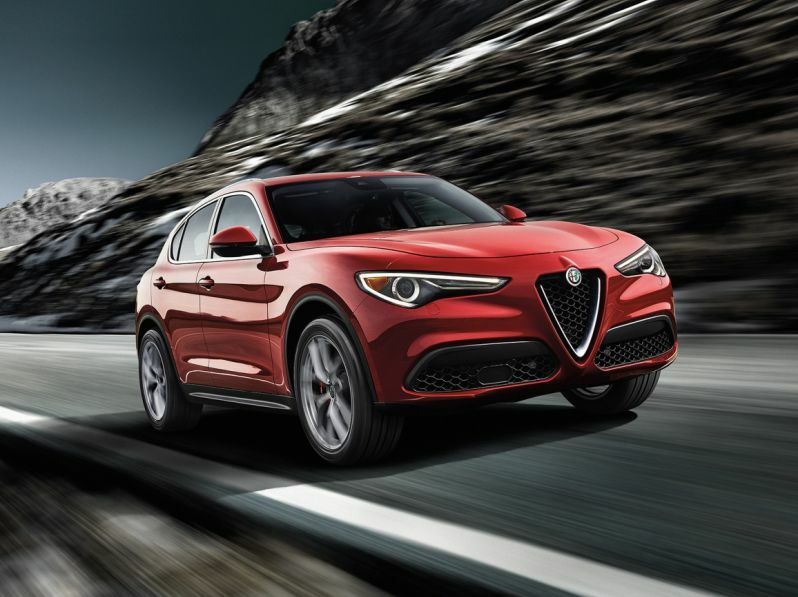 The Stelvio is proud to wear its heritage in details like the shield-shaped grille. Any Alfa Romeo fan who has loved the marque’s designs over the years should be pleased with how the Stelvio has turned out. Jaguar, on the other hand, is aiming to develop a new design language that doesn’t borrow from its past but still manages to convey a character specific to the marque. It does so with almost sensual lines and an easily recognizable front end that’s not angry or angular. The Stelvio and F-Pace also share common traits in their cabins, but in this section, it’s not so positive. Neither vehicle has an interior that really meets the promise of its attractive exterior. The Stelvio’s motorsport-inspired flat-bottomed steering wheel is a nice touch, but the thick pillars at the front and rear hinder outward vision. And occupant space is not a strong point. That last point is exactly where the F-Pace shines, bringing 37.2 inches of rear legroom, compared with the Stelvio’s 31.9. However, its cabin's design and materials are relatively lackluster. Overall, the Stelvio’s cabin is more pleasing aesthetically, the F-Pace is more practical. 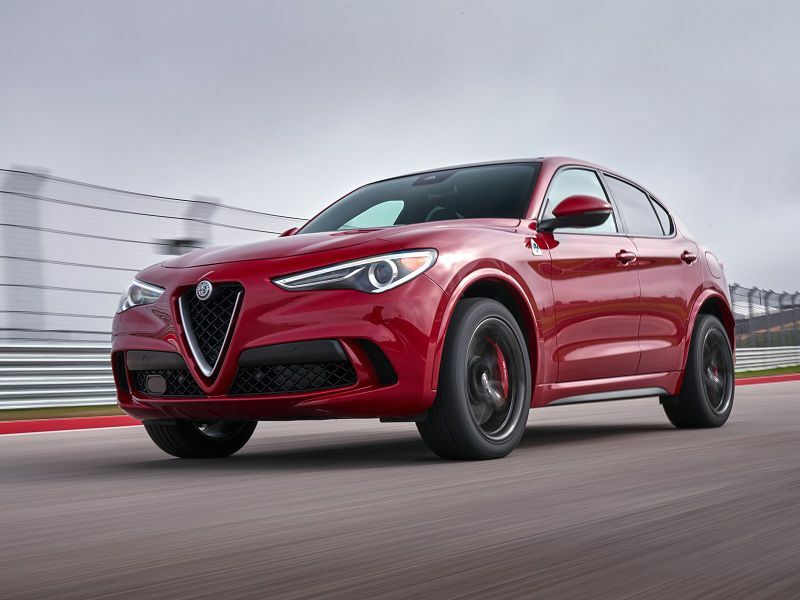 We’re tempted to hand this section to Alfa Romeo, but the U in SUV means Utility. When we said the Alfa’s base engine is more powerful than the F-Pace’s, it’s the only engine, not counting the Quadrifoglio’s V6. This is a turbocharged 2.0-liter four-cylinder unit making 280 hp and 306 lb-ft of torque. 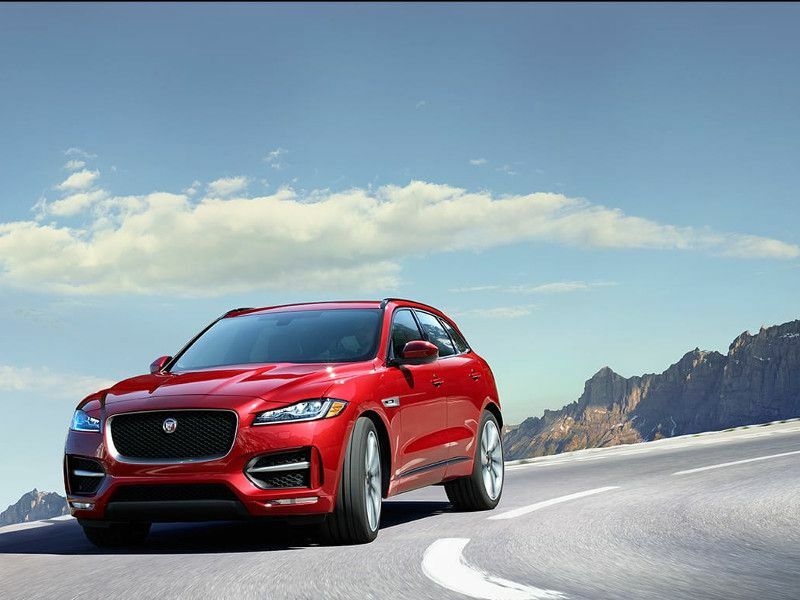 The turbocharged 2.0-liter four-cylinder in the F-Pace 25t develops 247 hp and 269 lb-ft of torque. 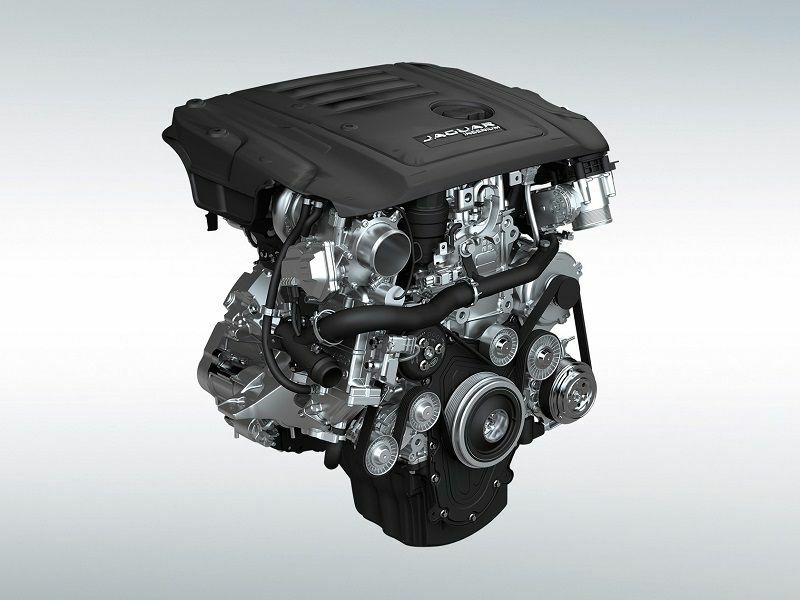 The same engine in 30t versions boosts output to 296 hp and 295 lb-ft. Jaguar also offers a diesel (the 20d, with 180 hp and 318 lb-ft of torque) and a supercharged 3.0-liter V6 (the S, featuring 380 hp and 332 lb-ft). Both vehicles use eight-speed automatic transmissions. By offering more choice, Jaguar takes this section. In rear-drive form, the Stelvio with the 2.0-liter engine achieves an EPA-estimated 22 mpg city, 29 mpg highway and 25 mpg combined. Adding all-wheel drive adjusts those numbers to 22 city/28 highway/24 overall. The base engine in the F-Pace is rated at 22 city/27 highway/24 overall (remember, all-wheel drive is standard). The more powerful version of this engine produces the same figures. For better economy, the diesel returns 26 city/33 highway/29 overall. Naturally, the V6 is thirstier: 18 city/23 highway/20 overall. It would take many miles to recoup the extra cost of the diesel engine, minus the fun. The Stelvio’s gutsy engine yet slightly better fuel economy swings this section. 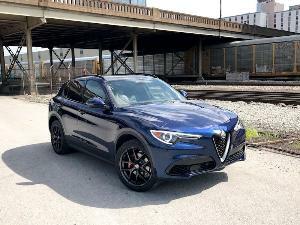 The Stelvio’s power levels are decent rather than daredevil. Even so, the sprint from standstill to 60 mph takes a pretty brisk 5.4 seconds, only 0.3 of a second slower than the F-Pace with the V6. The base engine in the F-Pace doesn’t really fit with Jaguar’s muscular image, a second slower to 60 mph than the Stelvio. The diesel version runs out of energy at higher revs. The jewel in the Jaguar’s engine bay is the supercharged 3.0-liter V6, but now we’re looking at around $62,500. If we didn’t have that budget, it would have to be the more powerful 2.0-liter gasoline unit. Overall, the thrill-per-dollar ratio tips the scales toward the Stelvio. Yet again, both marques come with something special. The Alfa Romeo approach to handling involves sharpness and precision: sporty in a charming way, charming in a sporty way. The Stelvio keeps this tradition going. It’s surprisingly agile for a crossover. The downside is that the ride quality isn’t ideal. Jaguar’s chassis philosophy has always pursued comfort, yet with a subtle enthusiast appeal. It’s a great combination for a luxury crossover. The ride is predominantly smooth, but should a driver come across a set of curves when no one else is on board, there’s the ability to push quite hard. The F-Pace also has a useful 8.4 inches of ground clearance. 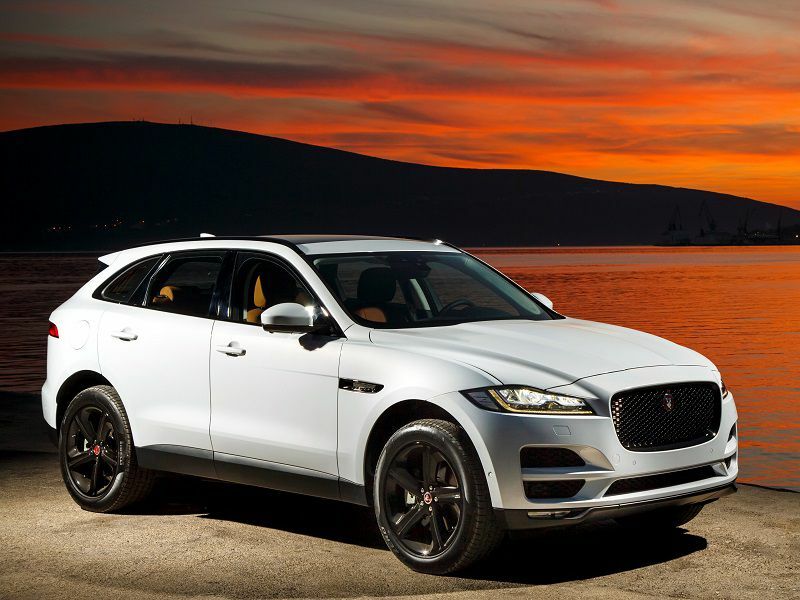 This could be down to individual preference, but the F-Pace is more versatile. We’ve already knocked the Stelvio for not being as spacious as the F-Pace, but the overall level of comfort is appropriate for this premium class. There are a few gripes, though. For example, the base cushions for the front seats could be longer, for better under-thigh support. No such complaints in the F-Pace, whose front seats are truly road-trip-worthy. We are a little disappointed by the four-cylinder engines’ lack of refinement, though. 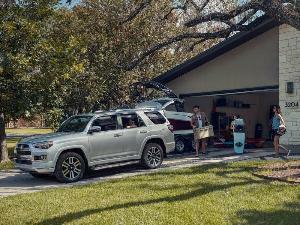 The Stelvio’s luggage area behind the rear seat measures 18.5 cubic feet, opening out to 56.5 cubic feet with it folded down. 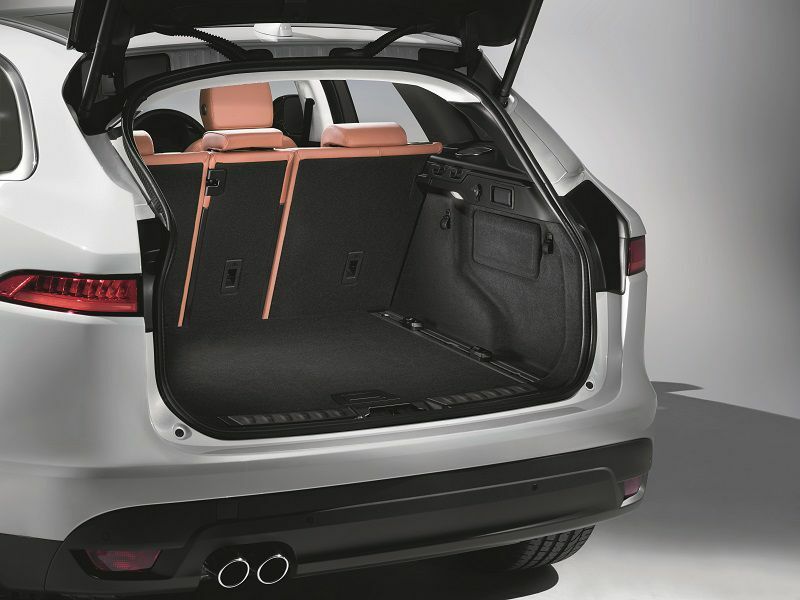 Compare those figures with the F-Pace’s 33.5 and 63.5 cubic feet. Both these contenders are attractive, supremely stylish, and engaging to drive. 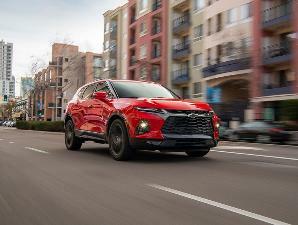 Neither has a stellar reputation for reliability and strong resale value, but both are making improvements in these respects. One big appeal of the Stelvio is the fun factor. It seems Italians are natural enthusiasts. If that’s also where your tastes lie and other crossover-type considerations are lower-priority, then head for the Alfa Romeo dealership. The Jaguar F-Pace, however, seems a better all-rounder, the more complete package. But it comes at a higher price. Adding the 296-hp engine bumps up the bill by almost $5,500. If money is no object, buy the F-Pace (preferably the 380-hp S version). But the Stelvio is suddenly looking more tempting.